It’s hard to say exactly why hiking is such a popular pastime in the U.S. It could be the accessibility; there are hundreds of major countless and trails marked and unmarked offshoots. It could be that getting started is as easy as putting one foot in front of the other, but challenging treks will keep even the most expert hiker on their toes. Maybe it’s witnessing the beauty and diversity of nature with the land beneath your feet. In our list of great American hikes, we sought to provide an array of trails that would appeal to everyone. 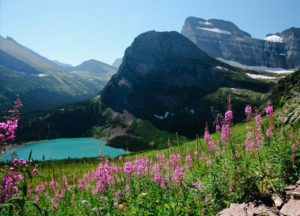 We carefully selected hikes in each corner of the U.S., we chose both day hikes and those that could take an entire week, and we tracked down trails for all skill levels. This list is based in opinion and is meant to serve as inspiration for your adventures. The “footpath in the wilderness” was established in the early 1900s, making it the oldest long-distance trail in the United States. 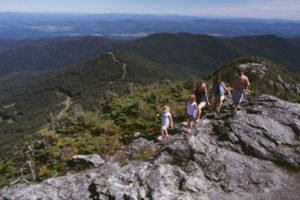 The Long Trail is a hiking trail located in Vermont, running the length of the state. It is the oldest long-distance trail in the United States, constructed between 1910 and 1930 by the Green Mountain Club. The club remains the primary organization responsible for the trail, and is recognized by the state legislature as “the founder, sponsor, defender, and protector” of the Long Trail System. The Long Trail is maintained primarily by the Green Mountain Club. Twelve club sections maintain assigned sections of the Long Trail – two other club sections maintain the trails in Vermont’s Northeast Kingdom and the Appalachian Trail from Maine Junction in Killington to the Connecticut River. Although roughly 1,000 volunteers perform most of the club’s trail work, the club also employs a staff to handle day-to-day operations and a seasonal staff of summit caretakers and the Long Trail Patrol which works on heavy duty projects on the trail. The Green Mountain Club also receives assistance from the Vermont Department of Forests, Parks and Recreation, U.S. Forest Service, National Park Service, Appalachian Trail Conservancy, and private landowners. During the mud season in late Spring, some sections of the trail are closed to hikers, to protect the trail from both erosion and to protect nearby flora from being damaged (especially the higher peaks that possess fragile alpine tundra). The 270 mile Long Trail is America’s oldest long-distance hiking path which stretches along the spine of the Green Mountains, the full length of Vermont from the Massachusetts state line to the Canadian Border. The trailhead and parking area for this section along Jay Peak is located on Vermont Route 242 at the height of land in Jay Pass. From here, the Long Trail climbs north to the open summit of Jay Peak (elev. 3858′) and beyond to the Canadian border. Follow the Long Trail north past a spur trail to Jay Camp, an overnight shelter for thru-hikers, and continue upwards through the changing forest to a ski trail intersection. Old Rag Mountain is a popular hiking destination with a summit elevation of 3,291 feet (1,003 m), located in the Blue Ridge Mountains of the Shenandoah National Park in Virginia’s Madison County, near Sperryville. In contrast to most mountains of the Blue Ridge, Old Rag has an exposed (rocky) summit. Old Rag is Shenandoah’s most popular and most dangerous hike. 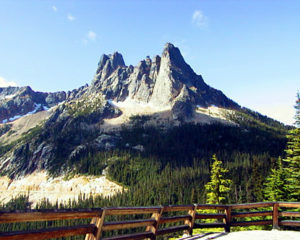 The number of blogs and websites about this hike attests to its popularity. The number of search and rescue missions each year attests to its danger. There’s no doubt that the scramble is great fun and the views are spectacular. A day on Old Rag is one of Shenandoah’s premier experiences. We want to be sure that your experience is not marred by an accident or health issue that could be prevented with good planning.